Tomorrow school officially starts for me, as my little three-year-olds begin their year in my preschool class. “Carla’s Crayons” are in for a year of fun and learning, growing and doing. Why the Crayons? Because I love to color! My class has always been the “box of crayons” and our class book is “The Crayon Box That Talked” by Shane DeRolf, but little did I know a bunch of preschoolers were on trend! Apparently coloring is the new “it” thing…for grown-ups! Check your social media sites and visit a local book store. Both will be full of coloring pages posts and coloring books. But I’m not talking Dora the Explorer or Frozen, I’m talking about very detailed and intricately designed coloring books for adults. There are coloring books featuring animals, flowers, Hindu and Buddhist symbols, and pretty much anything you might want. I still prefer coloring Barbie, dogs, Winnie the Pooh, and princess books, but am pretty sure I could color just about anything. So, why coloring and why now? The reason for its boost in popularity among adults is a mystery, but the benefits of doing so are scientific. Expert after expert raves about the positive effects of the fun and colorful activity normally associated with children, and are keen on the fact that coloring uses both the holistic and tactical sides of our brains. Coloring slows people down. In today’s “hurry up, hurry up” world, sitting down with a coloring book slows your heart rate and reduces stress by lowering the activity of the amygdala, the part of our brains that controls emotions affected by stress. Sitting down with a color sheet also relaxes you and quiets your mind. It takes us back to our childhoods and simpler times filled with more playing and less stress. The other parts of the brain that coloring incorporates are those that stimulate creativity, logic, and motor skills. While coloring, we use our imaginations and even though we use someone else’s design, the end result is our own, personal and unique work of art. 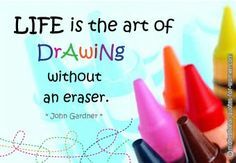 You get to choose what to color where, and in the end, you feel artistic and a sense of accomplishment all thanks to a little box of colorful crayons. The childhood pastime also not only helps little ones focus, but grown-ups too. While coloring, especially a very detailed piece, your brain is completely engaged in your work. Unlike other tasks like surfing the web or even knitting, it’s very difficult to multi-task while coloring. Finally, it works on our tendency to want instant gratification. We are so accustomed to Googling everything and instantly responding, that we’ve lost our ability to wait for something to happen. You can’t hurry coloring and you can’t hurry art. It’s a win-win. 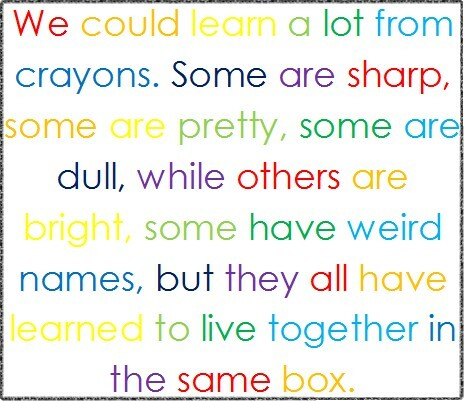 As I write this, sitting in my desk drawer is a big box of crayons, the one that has a sharpener on the back. 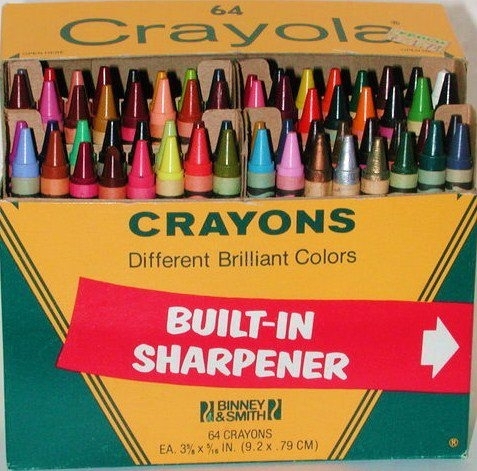 That box of 64 crayons was always my dream as a school-aged girl. Much like Cocoa Krispies and store-bought Play-Do, I couldn’t wait to buy one as an adult. Not far from that box of crayons and in the closet is the Halloween costume I wear each year in my class. 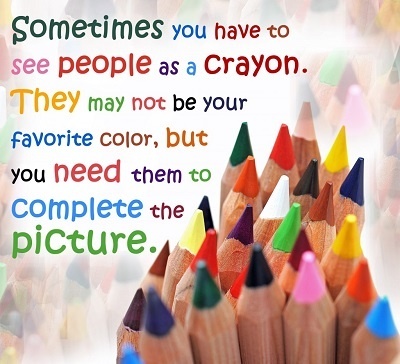 Yep, you guessed it, I’m a giant crayon. I guess you could say my fascination with crayons goes way back even though I am not artistic. At all. I also love Sharpies, which could very well be considered the crayons of grown-ups. I’ve always said that if I win the lottery I will write with nothing but Sharpies! So popular are adult-targeted coloring books right now, they are on many a bestsellers list in both France and England. There are also coloring clubs being formed across the U.S., leading some to consider them today’s quilting bees for group therapy and socialization. All things coloring are also of course everywhere on the internet, ranging from print-at-home pages to Facebook pages boasting nearly 4,000 members. 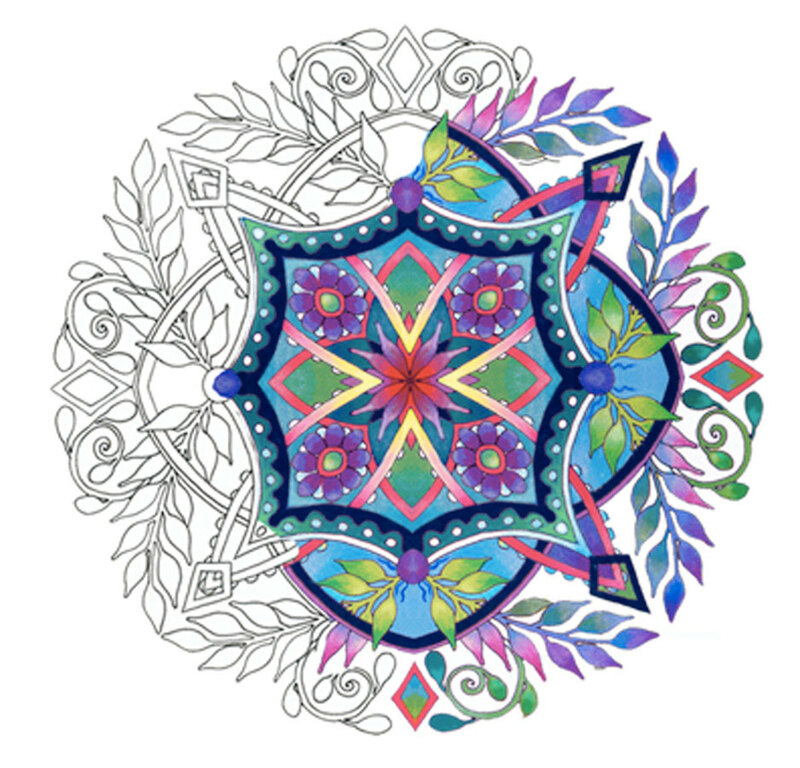 So, the next time you’re feeling stressed or unfocused, don’t reach for a cocktail or a smart phone, reach for a box of crayons and get coloring! Who’s with me?